Thus the Beast begins his narration. Every child knows the story of Beauty and the Beast; how the man was cursed and could only be saved if a young woman would love him as he was, when that actually meant if she could look past his fearsome exterior and see the real man existing in his heart. We all know the beginning of the story, the end, and what went on in between, but now, the reader gets another side of that fairy tale, concentrating more on the young woman’s family and the Beast’s inner thoughts than on the romance itself. It is a story not so much of magic and breaking curses, but of self-realization. In this one, The Beast is Julian, a young man so afraid of becoming a man as cruel and callous as his father that he becomes something worse, a man devoid of love. When his grandmother, the only one he truly cares for, dies heartbroken from seeing how her grandson is transformed, a Fairy curses Julian for contributing to her friend’s death. Beauty (here called Isabeau) is the Cinderella of her family. Though they don’t treat her poorly, they nevertheless depend on her to do everything needing done in the household. Sister Claude spends her time bemoaning her lost sweetheart who jilted her when their father lost his fortune. Sister Marie spends most of her days sleeping, leaving Isabeau to tend the house and keep their father from feeling useless because he cannot provide for his daughters. Once Isabeau is gone, no one has any idea what to do. Marie must be taught to cook and to grow a garden. Claude has to learn to do housework and how to purchase their food. Each is inept in doing these simple chores though soon they grow expert in their tasks and discover something surprising. They enjoy what they are doing, enjoy the doing of it and the rewards it brings to them and their family. It is because Isabeau leaves home to keep her father’s promise to the Beast that both sisters eventually meet the men they marry and their father regains his fortune. In the end, Isabeau’s sisters become independent and don’t need her to look after them. Her leaving them frees each to become self-sufficient, while it frees her from the burden of their care. On the other hand, what the Beast gains is the one thing he’s missed all the centuries he’s cursed. Though his mansion is magical, and food, clothing, or anything else is automatically supplied whenever he wishes it, the only thing the magic won’t give him is what he wishes most . . . companionship. In the end, it is not Isabeau herself who breaks the curse but it is because of Isabeau that the curse is broken, for all along, the Beast carried within him the answer to his salvation. 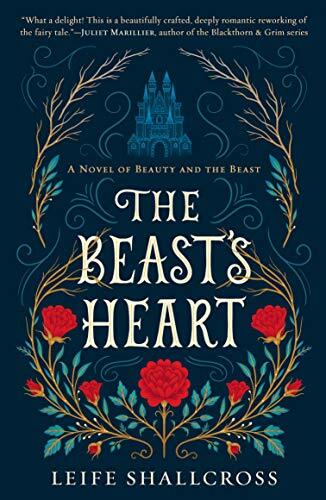 The Beast’s Heart is a beautiful retelling of the beloved fairytale set against the reality of 17th century France. As with Lisa Jensen’s poignant Beast: A Tale of Love, there is an unexpected twist to the ending. This debut novel told from the Beast’s point of view is poetical, imaginative, and inventive.